-- National Pi/Pie day is coming on March 14th! Three fabulous bakers in town are combining forces to sell miniature versions of some of their signature creations for $3.14 (pi, get it?) and their proceeds will go to the Capital Area Food Bank! See each of their websites for order/pick up/delivery information; place your orders by Monday, March 11th. They brought me samples, and I can verify, these pies are all delicious! Great for gifts or have some friends over for dessert (away from the SXSW madness!). Not only are you supporting locally-owned businesses, but a great non-profit too. -- Sagra celebrates it's eastside opening with a series of specials March 6 - 9. -- Pinkberry, a frozen yogurt shop from California, that's all the rage! Coming in late spring to Westbank Market at 3300 Bee Caves (by the Randalls). -- Trader Joe's has applied for a permit also in Rollingwood, at the old Sprouts. -- I was crushed to hear that Louie Mueller BBQ in Taylor suffered a devastating pit fire that closed their establishment for several days; they should be up and running now, but I don't know if they have all of their fabulous meats available or not. They've been keeping their Facebook page updated, and will be selling the bricks from the damaged pit as a fundraiser. A lot of history in that old building. -- A couple of the area farmers markets are moving locations. The Austin Chronicle had a good recap as to who's where. -- Jack Allen's in Oak Hill is having their 3rd Annual Republic Tequila party on March 6th. Pig roast, music, and $5 Republic Tequila drinks, all in the spirit of Texas Independence Day. 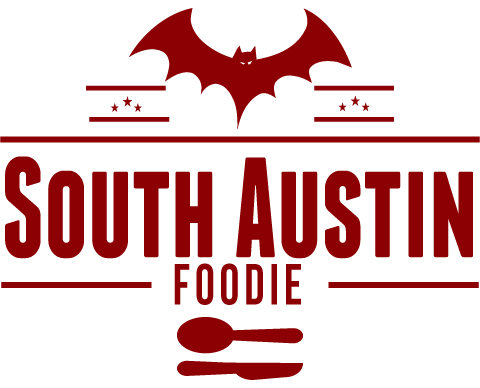 -- South by Southwest is right around the corner! Paul Qui is gathering a great collection of food trucks in one central spot -- Rainey and Driskill -- that's relatively convenient for convention goers. Check out more info on "South Bites" here. -- Fado celebrates what else, but St. Patrick's Day, all day on March 17th, starting at 9 am! Buy your tickets now for $10. -- Chef Jason Dodge has revamped the menus at both both Peche (upscale European bistro food) and Cherry Street (Italian) in the Warehouse District. -- The Third Annual Texas Foodways Symposium will be Our Barbecue, Our Selves, April 4 - 6. Ticket information is on their website. -- I attended the opening of Blackfinn Pub at the Domain last week, very crowded, but everyone seemed to be having a good time! Lots of passed apps and a big buffet of some of their foods. For a pub, they have some really nice dishes like the sea bass we tried, and the hot chocolate + peanut butter souffle for dessert was heavenly! The previous night, they held a fundraiser for Make a Wish Foundation, and raised $5000! For some pictures of what we ate, see my friend Mad Betty's post. And finally.... you may have (hopefully!) 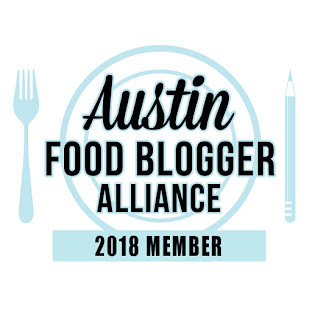 seen my last two blog posts on South Austin restaurants and food trailers, as part of the Austin Food Bloggers Alliance 2013 City Guide. Please check them out and share with others! :) I am excited to share with you the entire City Guide that will help you pick your food and drink spots around town! Happy eating!